During the years before the birth of Samuel, while the people were traveling through the wilderness, they worshipped in a tent. 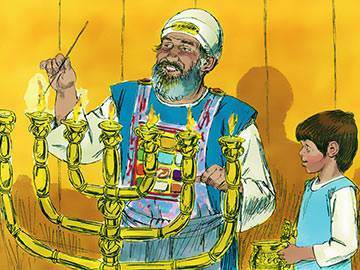 It was called the Tabernacle, which just means the “Tent.” Our story now is about a boy who served in a house built for God, called the Temple. When the people who were called Israelites came to their new homeland, they built houses for themselves, for they no longer wanted to travel about with tents from one place to another. 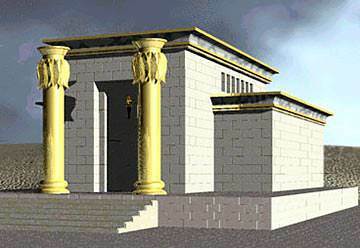 And soon they built a house for God—a meeting place of wood and stone, and they called it the Temple. 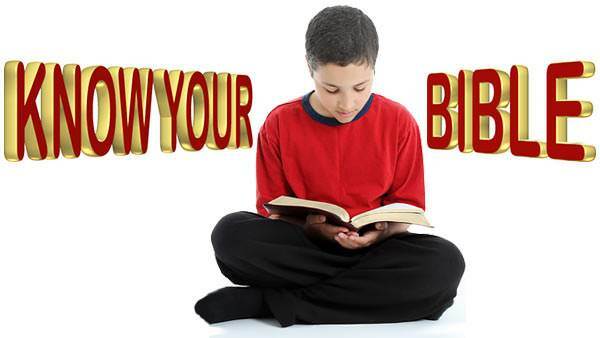 On Sabbath days the people came, and the Temple priest taught them to pray and worship. One day a little boy came to the Temple. He was brought by his mother to the old priest, Eli. 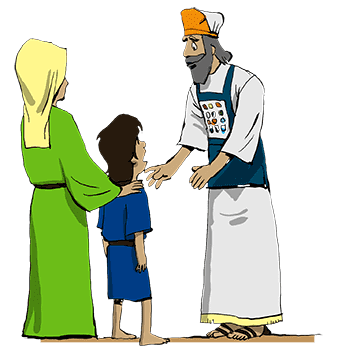 Eli, the old priest, was glad to have Samuel’s willing hands to help and quick feet to run his errands. Samuel soon learned how to help the old priest. It was good to be able to help Eli, but Samuel loved helping in the Temple most of all. He like the days when Eli led the worship there, and men and women came to pray to God. 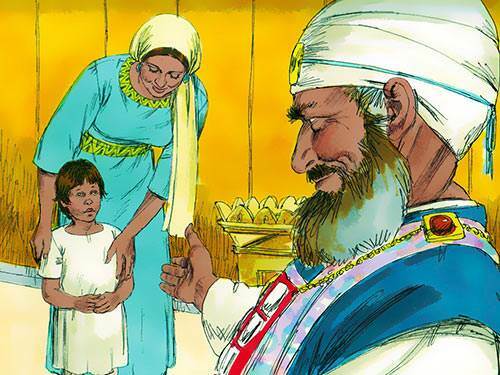 It was quiet in the Temple and often as Samuel dusted the beautiful gold and silver vessels on the altar and swept the floor clean he thought of God, whose house it was. 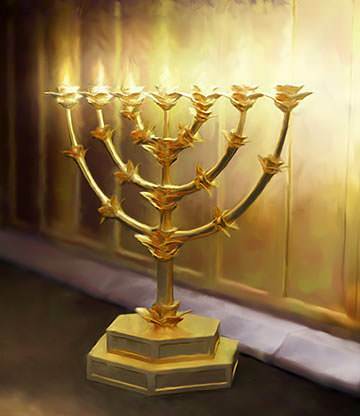 He loved cleaning and filling the seven branched lamps with oil. They were shaped like big candle-sticks, and when each tiny lamp in them was lit, they looked like wonderful great flowers with lights for blossoms in the dark Temple. At night Samuel closed the doors of the Temple, and in the morning he opened them, letting in the sunshine and the cool morning air. There were so many things to do for God and for Eli, that Samuel was busy all day. At night he put down his mattress on the floor and went straight off to sleep, while the Temple lights on the altar shone in the darkness. And all night Samuel would sleep, not waking until the morning. 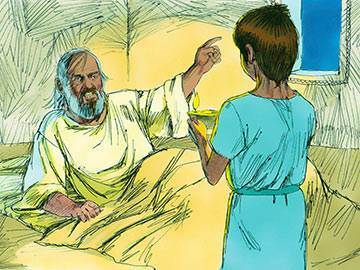 One night Samuel closed the Temple doors as usual, lit the little lamp, and then went to bed. 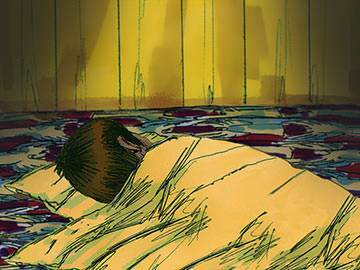 He had been asleep for sometime when he was awakened by a voice calling him. 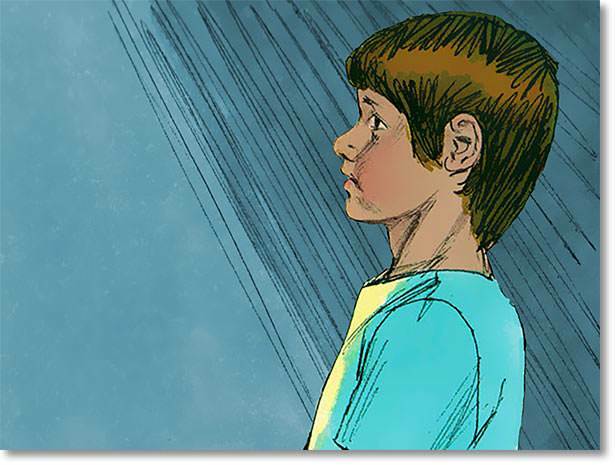 Samuel did as he was told, but once more he was awakened by a voice calling his name. 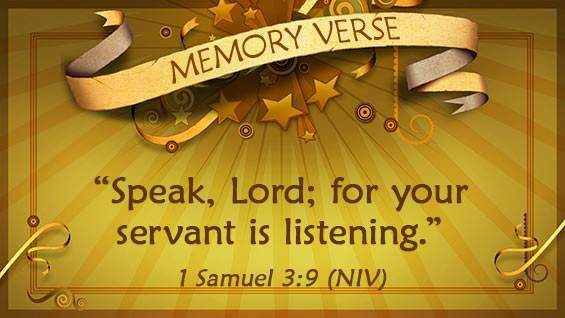 This time when he went to Eli, the priest knew that the voice Samuel had heard was God’s voice speaking to him. Then God gave Samuel a message to tell Eli and his people. 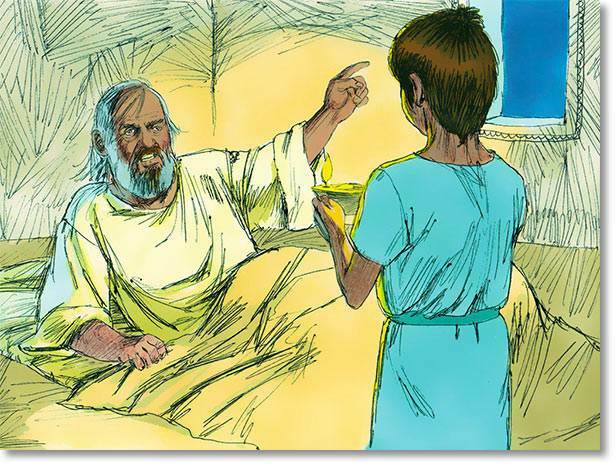 In the morning when Eli asked Samuel what God had said to him, Samuel told him everything. 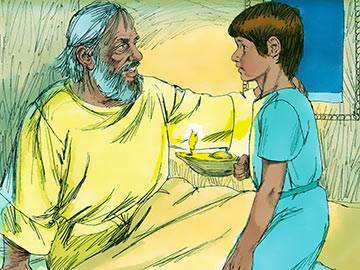 Eli felt very glad that his little helper had been so quick to hear God’s voice and would become a faithful servant of God.